In Colorado, false imprisonment is both a crime and a cause for civil action. It occurs when any person (but especially the police) detains a person against their will without the proper authority to do so. 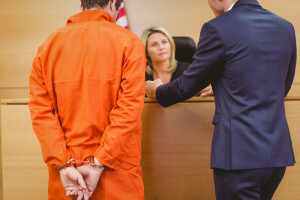 No matter the situation, if you’ve been falsely imprisoned by law enforcement or another individual, it is essential to seek action with the legal representation of a prominent Denver false imprisonment attorney. To hold the responsible party(s) accountable, contact the Civil Rights Litigation Group in Denver today. In the meantime, you can learn more about false imprisonment below. Many cases of false imprisonment in Colorado involve a Constitutional Rights violation, whereas a law enforcement officer unlawfully keeps a person against his/her will without proper legal backing (this is different from false arrest). The common law tort of false imprisonment is defined as an “unlawful restraint of an individual’s personal liberty or freedom of movement.” As such, it’s essential to remember that the individual doesn’t have to be actually confined or assaulted, and false imprisonment can entail words, acts, or by both. Regardless of the cause, a victim of false imprisonment can recover nominal damages as well as compensation for mental suffering, such as fright, shame, and mortification from the disgrace. After determining fault, a jury then evaluates many other matters of the lawsuit, including physical and mental suffering, loss of time and interruption of business or work, reasonable and necessary expenses incurred, and injury to reputation. When a victim is pursuing a lawsuit for false imprisonment, it’s essential to note that he/she is protected by the Constitutional 4th Amendment, “unreasonable searches and seizures.” An arrest is a seizure. Courts will determine whether or not an arrest is reasonable by considering the “probable cause” for the arrest. An officer who imprisons an individual without probable cause violates 4th Amendment. Furthermore, the victim can file a lawsuit under federal law 42 U.S.C. § 1983, which is based on the 14th Amendment and protects against deprivations of liberty without due process of law. To initiate a lawsuit under § 1983, the claimant must allege (1) the violation of a right secured by the Constitution or laws of the United States and (2) that the alleged deprivation was caused by a person acting under the color of state law. It is also important to note that, with a § 1983 case, the statute of limitations is generally two years. If you were unlawfully imprisoned against your will, by official peace officers, a spouse, or another person, you can pursue both criminal and civil action to hold the responsible party(s) accountable. However, it is important to note that these cases can be quite complex, and you’ll need a prominent and experienced false imprisonment attorney who knows how to properly navigate the system and expertly fight for you. Boasting extensive and practical experience in these cases, the Civil Rights Litigation Group is confident that they’ll be able to acquire the evidence needed to ensure a strong case. For a free consultation with us, contact our Denver law firm today at (720) 515-6165.